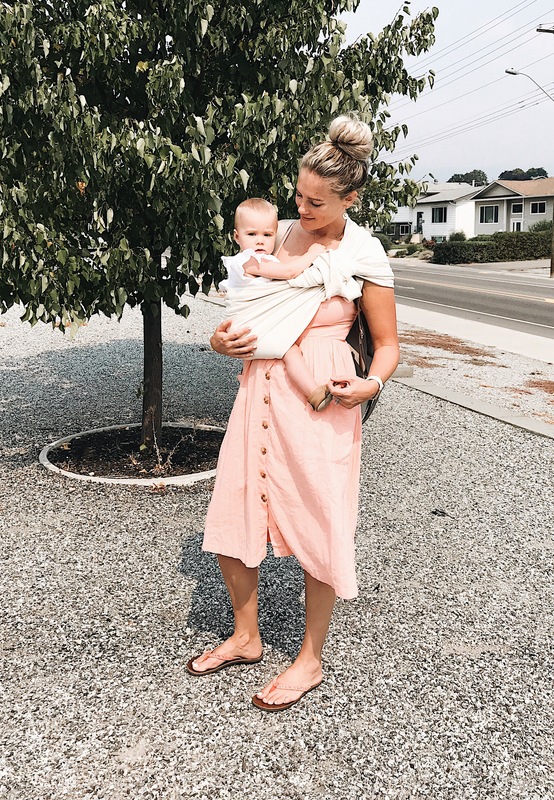 Just like many of you, being a busy mom myself, babywearing is somewhat of a saving grace. With a husband who is out of town for months at a time, wearing Liberty has been a necessity! 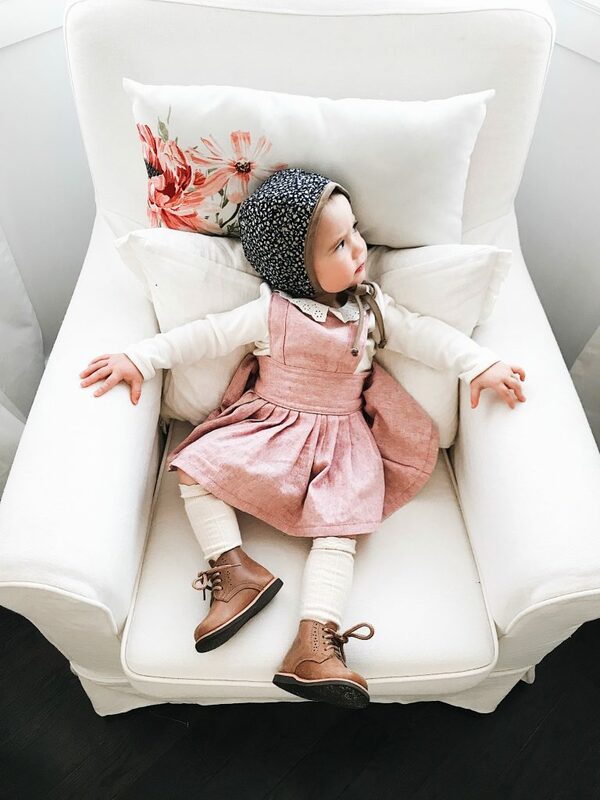 All you baby wearing mamas out there know how life-changing wearing your baby can be. When I was pregnant with Liberty I knew I wanted to wear her once she was born. I purchased stretchy wraps like Beluga Baby and Solly Baby Wrap, and I wore her in these exclusively for the first few weeks. The closeness and comfort it gives babe & mom (dad can get in on that too), wearing her skin to skin which can help with your milk production, lessen the chances of Post Part Depression, and free up your hands at the same time, were just a few of the reasons I knew babywearing was going to be for us. I didn’t leave the house much for the first couple of months because Liberty was born in November and Canadian winters are COLD!!! Being that the long stretchy wraps drag on the floor when you’re tying them, they weren’t as user friendly for me outside of our home. Gahhh look how tiny she was!! 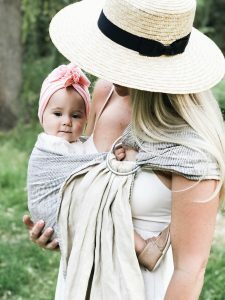 This led me to finding another babywearing device! I wanted to try a ring sling because I’ve seen so many people on instagram and facebook using them. I first tried a ring sling when Liberty was a couple of months old. I bought a Wildbird sling second-hand from another mama on the Wildbird Facebook group and I was instantly hooked. One thing I would recommend to anyone new to babywearing is join a group, whether its local or online this will be your village for knowledge and support. Wildbird slings are made in linen and bamboo fabric, I have both, but my favorite is definitely linen, also the most widely used fabric. It’s so supportive and breathable, so you don’t overheat while wearing babe, even in warm temperatures. 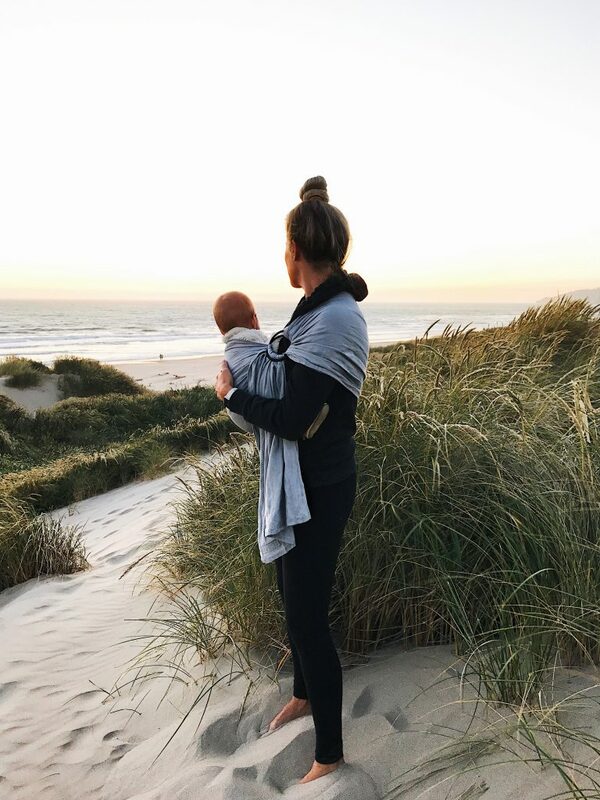 Wildbird creator Tayler Gunn started the company back in 2014 with her husband Nate, employing moms from home to sew her slings, which she still does to this day! Pretty cool right? Through the Facebook group & Instagram I have met some amazing Wildbird mamas, some of which I’ve become friends with. One of the things I love most about Tayler’s vision with the company is the community that surrounds it, you actually feel like your a part of Wildbird. From the decision making for new fabrics, rings and colors, Tayler includes us along the way, making us feel like a real community instead of just customers. All of the slings are named after birds, the colors coinciding with what bird the sling is named after! For instance, we have Bluebird…..the most beautiful shade of blue, and my forever sling. I wear Liberty every day, not only because it makes getting things done easier, but it’s also Liberty’s comfort (and mine). Aside from breastfeeding it’s our bonding time, which I love. I do everything while wearing her, from grocery shopping, vacuuming, folding laundry or just rocking her to sleep. 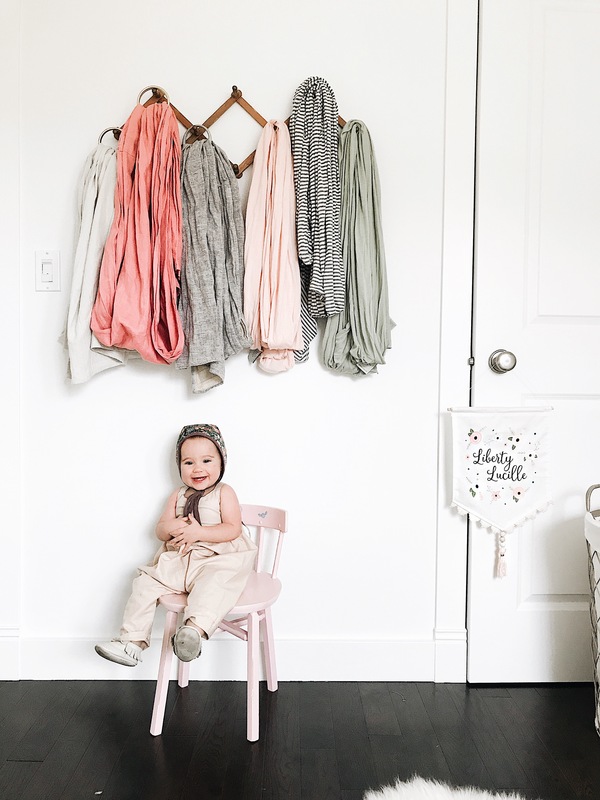 We now have multiple slings, one in our diaper bag, in each of our vehicles, and every room in the house, they’re so compact and easy to take anywhere!……ok so I might have a few too many slings, you only REALLY need ONE! but with all of the beautiful colors and prints, plus the affordable price, it’s hard to stop at one……you’ll see ;). The first sling I wore (bluebird) will be a keepsake I will hold onto forever, it’s amazing how attached I’ve become to a piece of fabric. 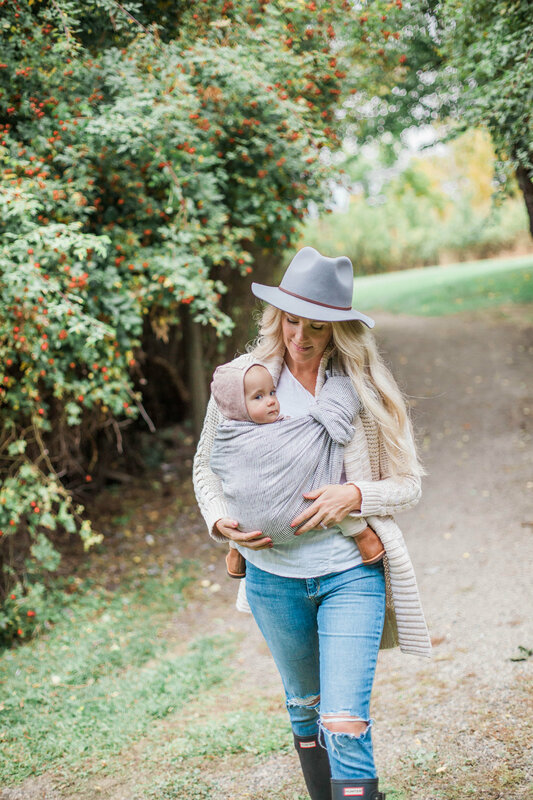 It’s one of those pieces that hold so many memories, all the hours I’ve held her while she’s slept, the places I’ve carried her, the countless breastfeeding sessions…….all you babywearing mamas know what I’m talking about! I hope this babywearing video helps some of you who may want to try wearing your baby in a sling, or others who have been trying but need a little help! I found the learning curve with wearing a sling a bit more difficult than other carriers, but once I learned there was no going back. I wanted to make sure I was wearing Liberty properly, no matter what carrier we used. There’s lots to learn and it’s so important to keep baby safe while you’re enjoying the closeness that babywearing provides. Hours of watching tutorials on YouTube later I finally found the right way to wear Liberty and become very comfortable with a sling. 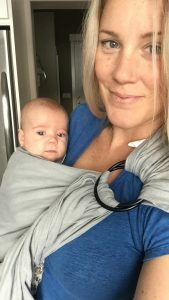 I’ve taken all the information I’ve learned and put it into a tutorial of my own, talking about how I breastfeed in the sling, how to get a deep seat, threading… etc.